On an afternoon stroll around the estate I found very little in bloom, which is to be expected in weather like this, but I also noticed that the late summer bulbs have begun to flower. I think this is Cyclamen cilicium. It keys out that way, but I didn’t plant it; the ants did. Normally I would expect to see some leaves at the same time, but maybe I haven’t been paying enough attention. The flowers are scented. 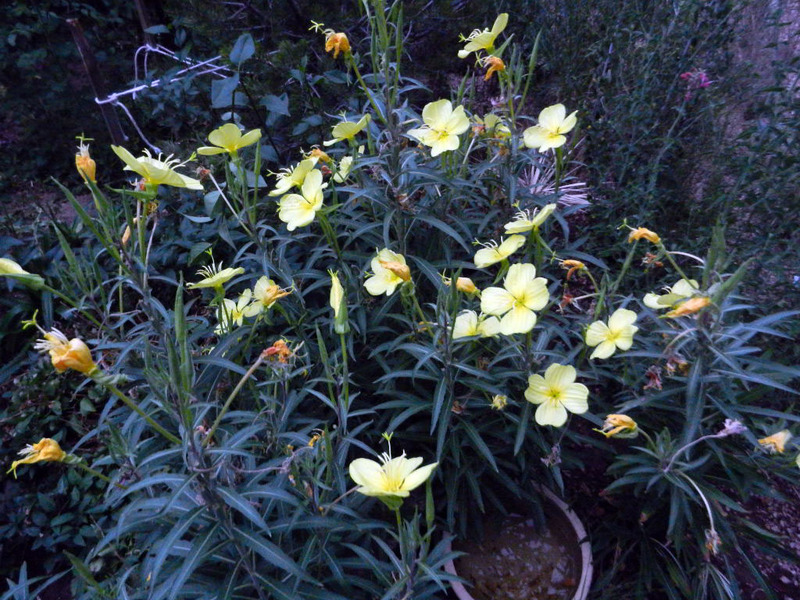 Typically in flower until Christmas. 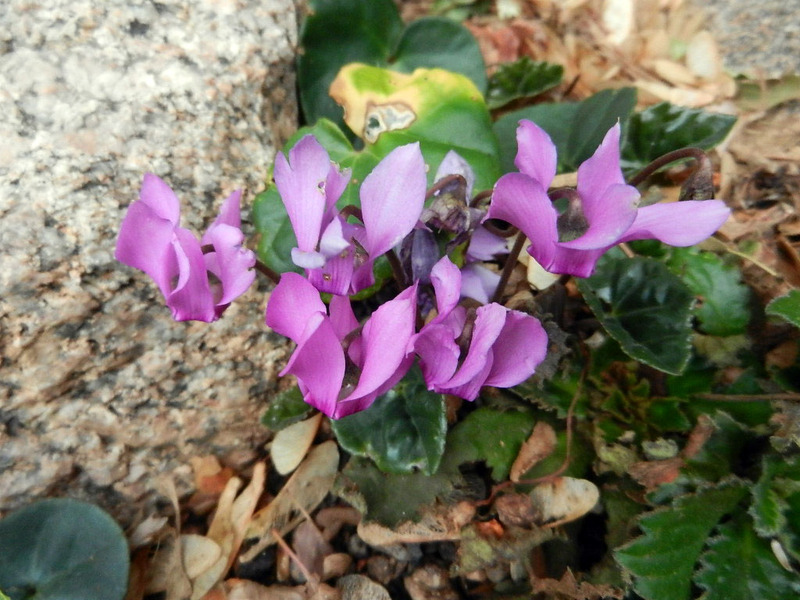 Cyclamen fatrense has been blooming for several weeks, but not like this. 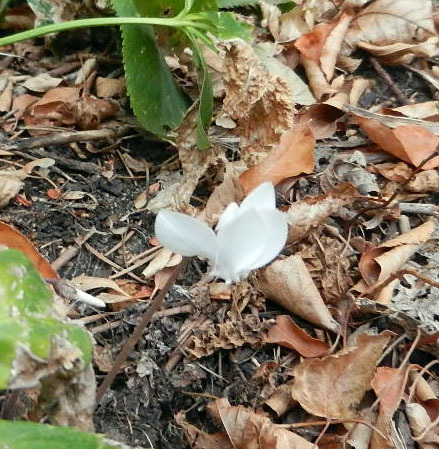 The white form of Cyclamen hederifolium; I was afraid that the tubers, the tops of which are barely below the soil surface, if even that, had been crushed when the garden on the north side of the house got trampled during the installation of the fence. The tuber is on the lower left, not visible, but another flower stalk is, with its white bud. 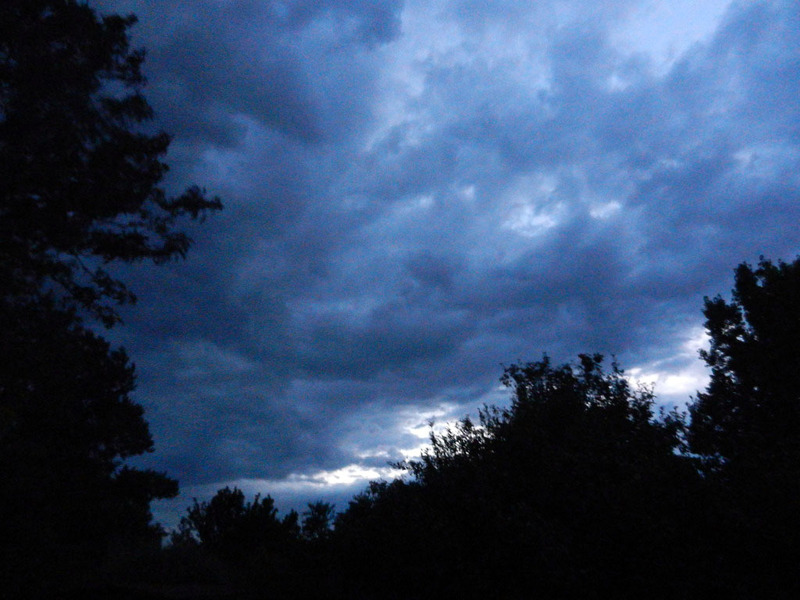 The sky at 8 p.m. 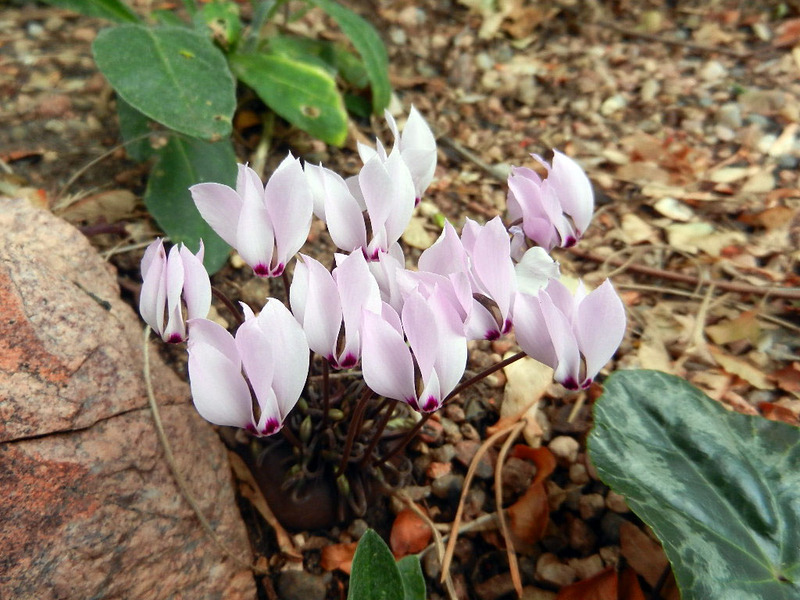 This entry was posted in Uncategorized and tagged Colchicum Zephyr, Cyclamen ciliicum, Cyclamen fatrense, Cyclamen hederifolium Album, Oenothera longissima. Bookmark the permalink. Thanks. I pamper my ants. 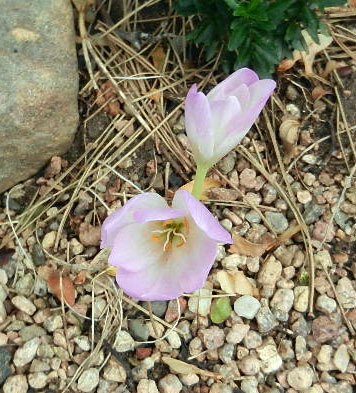 I wonder if it’s too late to order some Crocus mathewii ($25 a bulb) from Paul Christian ….